Fein is known in the trade circles for their high quality, high performance power tools. The company is also making their mark in safety innovation with their latest range of compact angle grinders, incorporating some industry first safety features which complement their already high powered and robust power tools. TipStart™ is the latest in angle grinder safety. An operating function which is “switch-free” and uses an ‘AutoStop’ function to ensure maximum operational safety is achieved. When used in conjunction with the electronic brake system (EBS), the disc will stop turning in less than three seconds. 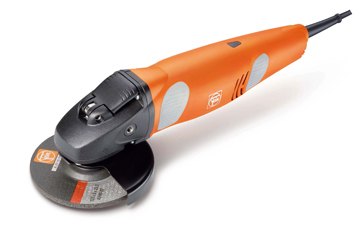 Although safety is a big focus in the Fein compact angle grinder range, power has not been sacrificed. The high performance motor with a 1200 watt input, pumps out a hefty 750 watts and has an idle speed of 10,000rpm. An electronic cut-off function has been incorporated, to switch off the grinder if the disc is ever to jam. The user-friendly design makes the compact angle grinders a breeze to use for both left and right handed operators. The ergonomic, tapered handle zones have been developed for a secure and comfortable grip. Fein’s patented QuickIN clamping system makes disc changes a breeze without the need for extra tools. 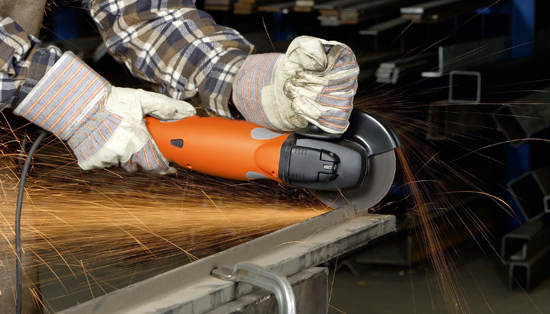 Extreme versatility, performance, manageability and safety – that sums up the new Fein compact angle grinder range. Standing head and shoulders above others in terms of performance, Fein is a brand you can be sure to trust.